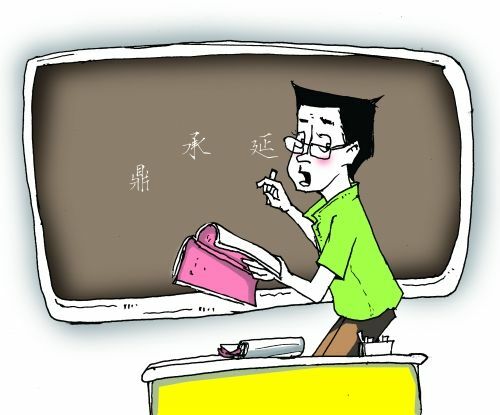 If you’re learning Chinese through one on one, or from a classroom, here are seven signs that you don’t have a very good teacher, and what you can do to fix them. Uses too much English. Obviously if you’re just starting out, then a certain amount of English will be required up front. However a good teacher should quickly start using Chinese as much as possible, especially words and phrases that you’re likely to hear over and over in each class. If you find yourself hearing the same English words over and over (eg. “Good job!”) then find out how this can be said in Chinese and encourage your teacher to do so.This might also be an issue if the teacher is using you to practice English, rather than focusing on teaching Chinese. Unless the class is meant to be a language exchange, keep the focus on speaking Chinese where possible. Doesn’t correct your pronunciation. One of the biggest obstacles that new learners to Chinese have is tones. In the beginning it can be frustrated to have your teacher correct each mistake you make, but this needs to be done. You may have to work hard repeating the same words and phrases again and again until you get it right. Some teachers may feel embarrassed to keep correcting you and may instead choose to move on.You can recognize this is happening if you find that words that your Chinese teacher understands you speaking are not understood by others. This is a sure sign you need to continue working on your pronunciation. Encourage your teacher to keep correcting you, and even thank them for doing so, to let them know it’s okay. Likes to complete your sentences. When you’re asked a question, it can sometimes take some time to formulate your answer. You know what you want to say, but just need to find the right words in Chinese. It’s important to take the time to find the right answer. If the teacher keeps interrupting you by blurting out the answer, then you are losing a valuable opportunity to remember these words and concepts on your own.If this happens, remind your teacher not to give you the answer and instead give you time to think. If you are truly stuck, then ask for a hint, instead of the actual answer. Always discusses the same topics. A good teacher should recognize when a concept is learned and move on and look for new ones. If you are always being asked how your weekend was, and your answer is always the same “same old“, then you know that either the teacher needs to ask a different question, or you need to come up with a different answer for the sake of learning.A good teacher should be able to ask further probing questions:What did you do? Was there anything you didn’t like about it?Some of us are natural introverts and won’t spontaneously come out with detailed answers. A good teacher should be able to get around this by asking the right questions to elicit new answers in new subjects, that will require new vocabulary to be learned. Doesn’t test if you understand a concept. When a new vocabulary item is learned, a good teacher should test if you understand it before moving on. Ways to do so could include asking you to make one or two sentences out of it. If the teacher is especially proficient, they could ask you what the difference between this word and a similar one was, as there may be subtle differences that may need to be understood.Many words in Chinese don’t have one to one translations in English, so they could be used in some situations like their English counterparts, but not in others, so some additional examples may be required. Doesn’t provide a proper balance between listening and speaking. Ideally, you should be getting equal exposure to listening to your teacher speaking in Chinese, while also being given time to practice speaking yourself. The exception here would be if one of your skills was especially weak and you specifically wanted your teacher to focus on that. If you find that your teacher is spending most of the time talking, with not enough time for your replies, then this is something that will need to get fixed. Is more interested in friendship than teaching. Some teachers may have a fascination with foreign languages and culture, and may use this teaching opportunity to further their own interests. If you find yourself constantly having to change the topic back to learning Chinese, this may be an indication that you need a new teacher. Want to find a really good one on one teacher? Try our One on One Skype program. Base it on the CLO course, or just general conversation. thank you for this nice post! that’s why I was unable to learn the Chinese language because my tutor use to speak English most of the time. and he never discusses on my pronunciation. but as I am beginner maybe that’s why he is using so much English for me.